Getting ready for your child to start child care can be an anxious time for you both. Will they be okay when you are gone? Will they cry when you leave? Will they be happy? Some children take to starting day care like a duck to water and others need a little bit more time. 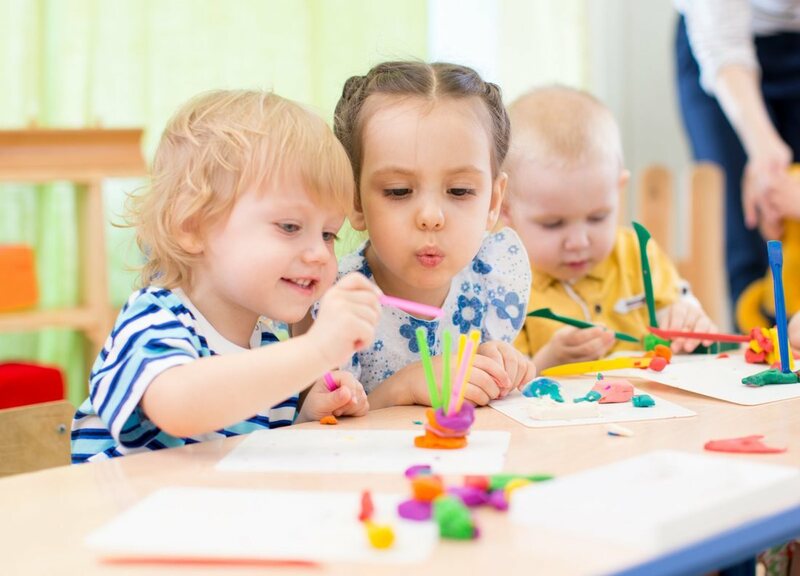 To put your mind at ease, child care centers are run by professionals who have looked after and taught many children, they know what to do and will provide your child with great care. Of course, when choosing a child care center ask many questions and find one that feels right for you and your child. Starting child care is a big step, for children AND for parents so when it is time for your child to start day care, the following tips can help them settle in calmly and more happily. In the months and weeks leading up to going to day care, speak to your child about the different places people go like work, school, day care etc. Explain to them about day care and that it is a place especially for kids with lots of fun activities. Visit the day care center a few times so that it becomes familiar to your little one. Involve your child in getting ready for day care. Let them come with you in choosing a special bag for day care, let them pick which cot sheets they want to bring, which hat to use. On the first day, let them pick their favourite outfit (day care appropriate) if they are old enough to have a preference. Read to your child about day care or preschool, books about the first day and what to expect. 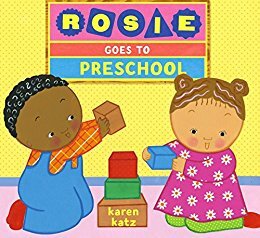 Books like "My First Day at Day Care" or "Rosie Goes to Preschool" are good for getting your child ready. Bringing something from home sometimes makes your little one feel more safe and secure. A favourite soft toy to sleep with, their favourite drawing, or a blanket, something that if they feel a little upset can remind them of what they know. 5. Walk away! Don’t look back! When it is time to drop them off and say goodbye, give them a warm loving goodbye and tell them you will be back but then WALK AWAY. It can be so tempting to drag out the farewell, to have one last cuddle, or to pop back and sneak a peek to see how your child is settling in. The best thing to do is walk away - I know this is hard! Find them a toy or something they are interested in before you leave can sometimes be a good distraction. However, dragging it out just makes the separation longer and more painful. If you are concerned about how they are going, especially if there were tears when you left, give the center a quick call later in the day to see how they are going. If you are looking to purchase the paperback version of Come Out Mr Poo! in Australia it is now available though the Just Write for Kids website. Not only can you purchase the paperback version at local prices (including shipping) you will get a personalised signed copy! Being an indie author, it is sometimes difficult to assess if people like what you are creating. You do get reviews which are extremely helpful, though they are not always forthcoming. For me, hiring an editor and getting unbiased feedback has been invaluable. But this is just one way. 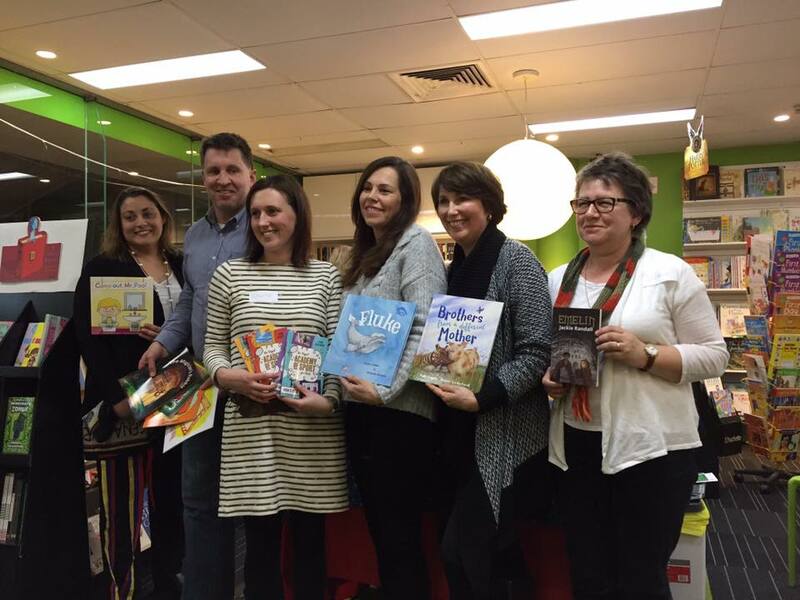 Recently, I joined the Children's Book Council of Australia and am involved in the Northern Sydney branch. Meeting other successful, inspiring and supportive authors continues to give me the encouragement to keep learning, trying and creating more books. It is a great way to meet other like minded people who have been through or are going through what you are doing. Not only do you learn more about the industry, publishing and promotion, you get to meet and network with some truly amazing authors. I'd recommend getting involved in author/writer groups in your local area if you are thinking of becoming a writer or are interested in continuing to refine your craft. Other members and I at the CBCA Northern Sydney branch meeting presenting our book babies - new books published by members since the last meeting. Won't Poop on the Potty, Won't Poo on the loo? 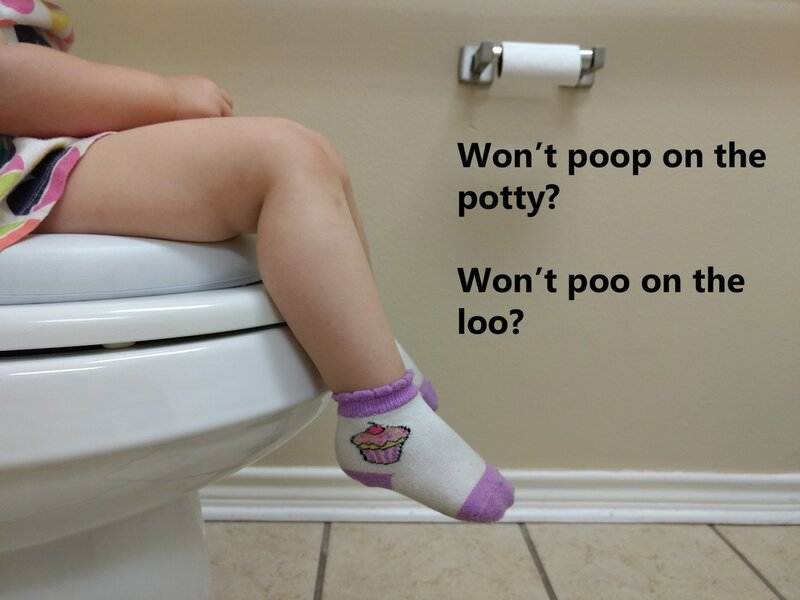 Regardless of where you are from, or if you say poo or poop, this problem is universal and a common potty training challenge. Your child might be very proficient at doing wees on the toilet but poos are another matter. After 9 months of trying to get my daughter to do a poo on the toilet and finally succeeding, I’ve done a lot of research around various techniques to help achieve this. I thought I’d share them with you as for others going through the same thing, dirty undies and/or constipation is never fun. The reason why some kids get the hang of doing poops on the potty or toilet quickly and others take a little longer is unknown. Reasons have included having a bad experience, like a poo that hurts when trying before, falling in or nearly falling in the toilet, constipation, stubbornness, lack of interest, or scared that a part of them is being flushed away. My daughter went through a few different stages. She would just do it in her undies and not seem to realise or care that it was there. She then suffered from stool withholding and thus constipation. Sometimes this would lead to 3 or 4 poos a day in her undies as only little bits were getting past a blocked poo – a form of constipation I later found out. Then she would only do poos in her nappy when she had her day time sleep or night time sleep. For a while this was actually a relief as there were no more dirty undies and she wasn’t suffering from a sore stomach. Cleaning poos from dirty undies is never fun, I have to admit some never returned. However, after trying many things, there were definitely some techniques that worked better than others. Each child is different so I thought I'd list a variety of different techniques you can try. I wish you every success with your poo in the potty challenge. I truly hope these ideas help in some way. Constipation could definitely be a cause for a child not wanting to poop in the toilet. Constipation could be caused by holding on to the poo or they may actually be constipated so poos are hard and can sometimes hurt when they do a poo, their tummy may hurt and hence don’t like doing poos. There could even be a blockage and only small bits of poo get out which a child has limited control over. If you can relate to any of these things, it’s best to see a health care professional to check your child isn’t constipated. If they are, normally a form of laxative is given which will help. Using rewards charts are great if your child is occasionally doing a poo in the toilet, especially when they are allowed to choose the stickers and put them on. I find though that reward charts tend to work better when there is a toy or treat involved too. A sticker isn’t always enough. I found my daughter sticking all the stickers on the chart one day when she just did a wee. Whilst not everyone agrees with this, bribery was definitely a success factor in my experience. A treat for every time we had success wasn’t giving us long term consistency. However, letting my daughter go to the toy shop and pick a toy (she choose an owl Beanie Boo) then hiding it in the house and telling her she can’t have it unless she continues to do poos, I really think is what got her over the line. If you are happy to subscribe to my page, I have a free download of a reward chart and potty training colouring book. Another tactic I’ve heard has also worked, though I haven’t tried it, is to reward other members of the family when they do a poo and not the child that isn’t doing a poo. Sometimes reversing the situation has an impact. Exasperated by the whole experience, I even wrote a children’s picture book about it. As a children’s picture book author, this seemed natural. She kept asking me to read the poo story to her as she thought it was fun and wanted to make Mr Poo happy. The book is called Come Out Mr Poo! and it is available through Amazon. See below for more details plus a few other books that may help. While it might sound funny, smaller kids want to be big kids and tend to idealise what bigger kids do. If they can watch a slightly older brother or sister, a cousin or friend do a poo on the toilet sometimes this gives them the push to overcome their fear or stubbornness as they too want to be a ‘big kid’. It goes without saying but kids generally want to make you happy and if you can make them feel proud and grown up then this is something they want to continue to receive. Every time you have success, give as much praise as you can. Many high-fives and hugs go a long way. If you child will only do poos in their nappy or slinks off to the corner to do a poop. Encourage them to do this in the bathroom. Whilst it won’t necessarily solve the problem, it gets them closer to understanding the right place for where poos should be done. There are other books that you can read that offer suggestions and advice in more depth than this post. ​I hope some of these suggestions are useful and work for you. Patience is definitely required. There are some great days and some not so great days. Your child will get there, these are some suggestions to help both you the parent and your little one. Best wishes! Mission 5 - Zapping Zombies launched! It's hard to believe that in less than a year, the 5th children's picture book in the Secret School Spy Squad series is ready. I wanted to make this one more unbelievable with the introduction of zombies. This time there is more at stake, Sx4 Agent N has to protect the students and teachers from drooling zombies attacking the school. Appealing to both boys and girls, the Secret School Spy Squad series is about a student spy who's identity is unknown. It could be a boy or a girl. My daughter swears the spy is herself. In each book the spy has to complete a new mission and receives not only the satisfaction of solving a case but receives a badge for each successful mission. The series is targeted at children between the ages of 4 and 7. Those about to go to school or new to school. Kids that want to feel special and be a hero in their school environment. The books are full of colourful illustrations and relatively short so make a great first reader or bedtime story. If you like zombies and kid heroes, check out Mission 5 - Zapping Zombies!